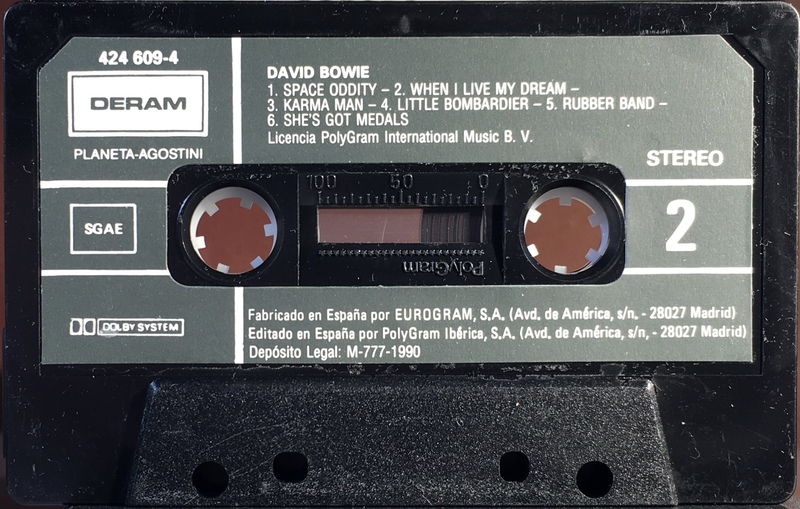 David Bowie: Spain; Decca/ Planeta Agostini, 424 609-4; 1990. Magazine free item. Planeta Agostini: Rock (La Musica, Los Interpretes; Vol 4 No 56). Full size cover photograph; yellow spine and rear on stiff, treated paper. Track list on rear and inside panel. 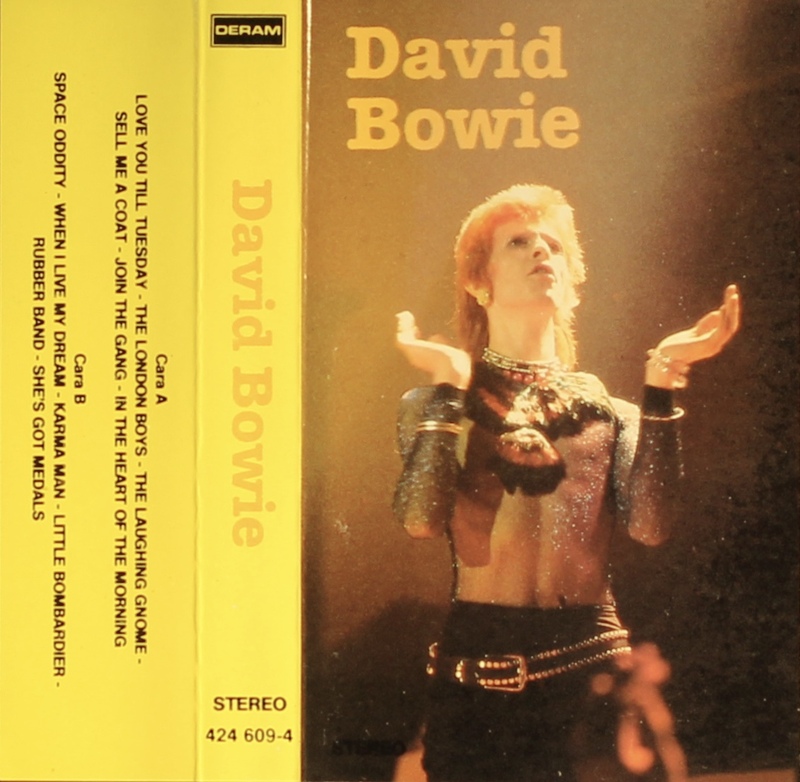 As with the album this release includes the mistake ‘In The Heart Of The Morning; the Philips version of ‘Space Oddity’ and not the 3:43 edit, and the single versions of ‘Rubber Band’ and ‘Love You Till Tuesday’. 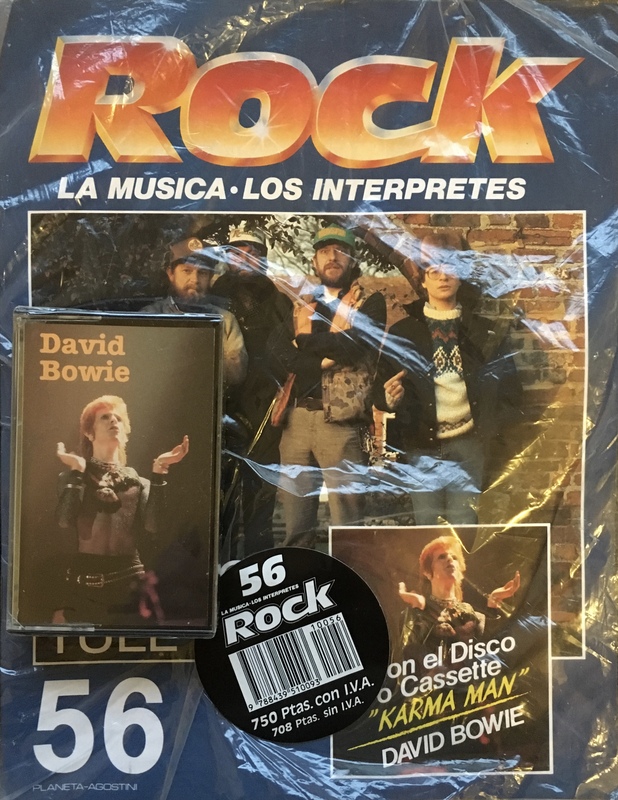 This cassettes came with Planeta Agostini’s ‘Rock (La Musica, Los Interpretes)’ magazine; Vol 4 No 56. A sealed cassette in a clear plastic bag with a copt of the magazine inside and a sticker o the front. 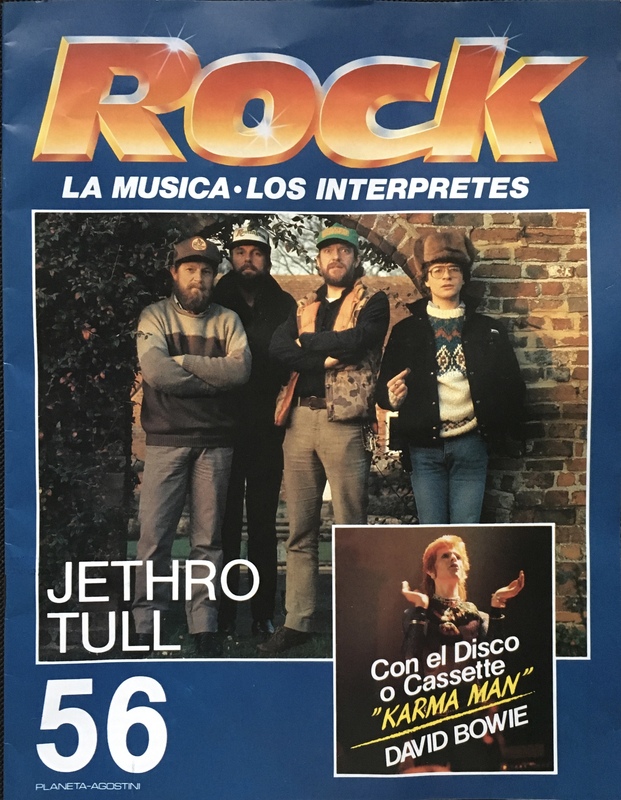 There is no Bowie content inside the magazine only articles on Jethro Tull and King Crimson. 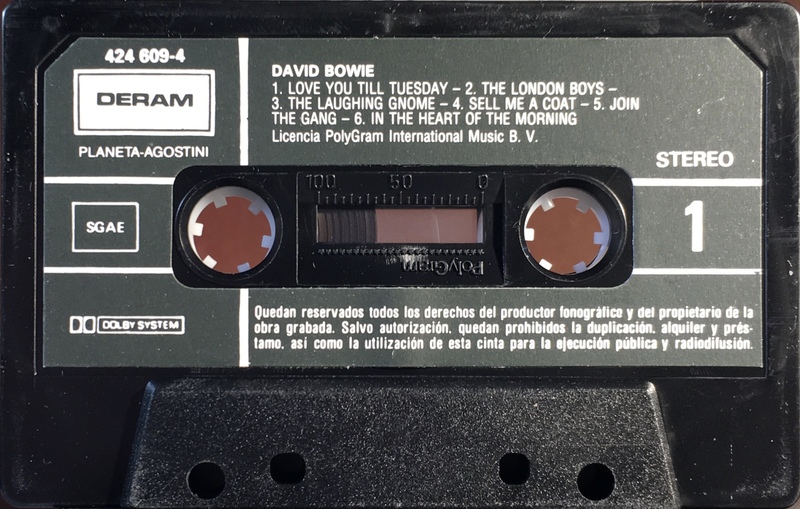 A panel on the cover names this cassette as ‘Karma Man’. White ink on black paper label onto black shell; Dolby and SGAE logo on label and information in Spanish. Side 1: Love You Till Tuesday; The London Boys; The Laughing Gnome; Sell Me A Coat; Join The Gang; In The Heart Of The Morning (sic). 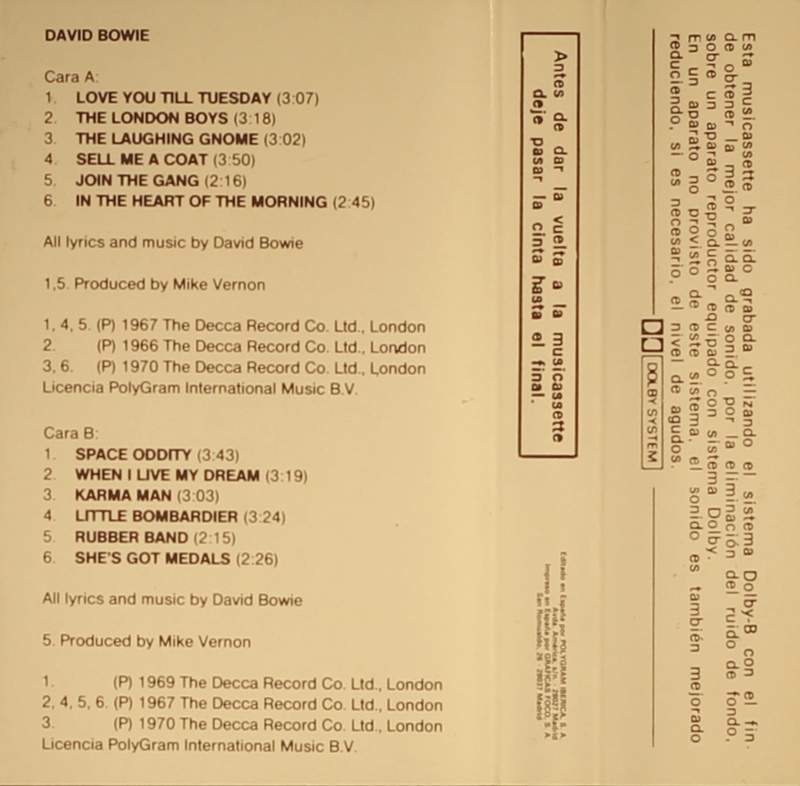 Side 2: Space Oddity; When I Live My dream; Karma Man; Little Bombardier; Rubber Band; She’s Got Medals..